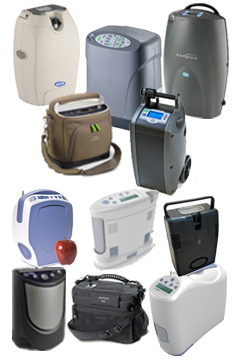 I am frequently are asked which portable oxygen concentrator is the best one. The answer depends on your lifestyle and needs. 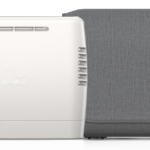 In my previous post I shared the most important distinction between the portable oxygen concentrators available: pulse only flow vs. pulse and continuous flow. If you determine that you must use a portable oxygen concentrator with a continuous flow option, your work is half complete as this narrows the choices considerably to the Respironics SimplyGo, SeQual Eclipse 3, DeVilbiss iGo, Invacare Solo2, or OxLife Independence. You want your oxygen concentrator to be portable. In fact the easier it is to pick up and go with your portable concentrator, the greater likelihood you’ll actually use it and enjoy the quality of life you desire. While all portable oxygen concentrators are portable in the sense that they can be used on DC power in a car and on battery power, some are simply easier to move and carry. For the pulse and continuous flow portable oxygen concentrators, you can expect between 17 and 20 pounds, with the Respironics Simply Go being the exception at 10 pounds. These concentrators range in size from 12 to 18 inches high, 10 to 12 inches wide, and 6 to 8 inches deep (about the size of a child’s backpack or small carry-on luggage). While the 10-pound Respironics Simply Go comes with a shoulder strap, most of these portable oxygen concentrators are conducive to being carried, and all come with a wheeled cart that has a retractable handle. Oxygen users of slight build may have difficulty taking them up and down stairs and in and out of a car. If a continuous flow setting is not needed, pulse only portable oxygen concentrators are usually the best option due to their smaller size and lighter weight. The choices here include the Inogen One G3, Inogen One G2, Respironics EverGo*, Invacare XPO2, Inova LifeChoice, and AirSep FreeStyle. These units weigh between 5 and 10 pounds. The lightest units are only 5 pounds, are about the size of a woman’s purse, and can be easily carried over the shoulder. These include the Inogen One G3, AirSep FreeStyle, and Inova LifeChoice. At 6 pounds, the Invacare XPO2 is also easy to carry over the shoulder, but does have an optional cart. Similar in size, though a couple pounds heavier, the Inogen One G2 comes with a wheeled cart. The Respironics EverGo is the largest of the three, weighing 10 pounds and about the size of a toaster or small camera bag. This unit may also be carried over the shoulder, but also comes with a wheeled cart. 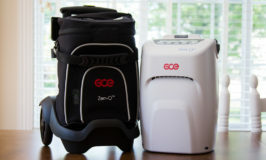 While there are still a couple more differences to consider, oxygen flow options and size are generally the two most important factors in determining which portable oxygen concentrator is best. My next post will address another important consideration. * Updated 12/5/13: The Respironics EverGo had been discontinued by the manufacturer and is no longer available. It has been replaced by the Respironics SimplyGo. Yes, you may have a concentrator that is not keeping up with your breathing rate. You also may need to increase the flow setting; however, only do this under the care of your doctor. I am confused on the relationship between continuous flow rates and pulse flow rates. For example, my father is on 4lpm O2 with his home unit. I see POC’s that say 660ml/m ..780ml/m…… 4liters is 4000 ml. So, how do I relate a POC to a home unit to know if this one or that one will work for my father? Great question! Most people breathe about 20 times per minute (about once every three seconds); therefore, they inhale only about 1/3 of the oxygen produced by a continuous flow oxygen concentrator. So if your father is using 4 LPM, he inhales about 1/3 of that oxygen, or 1,300 mL. A pulse only unit that produces a maximum of 660 mL is providing half the oxygen. At the lower settings, the difference is fairly negligible and most people use the same pulse flow setting as they would on continuous flow. Since your father uses a higher flow setting, he may notice the difference. You may want to take a look at a more powerful unit, such as the SeQual Eclipse 3, which produces 64 mL per breath, about 1280 mL per minute. Hi Allison, i am an COPD (emphysema) patient at stage 4 condition. I use 3 LPM with stationary concentrator. I need travel by plane on a flight from one and a half hours . I have a portable concentrator Respironics Simplygo, but only with 2 LPM in continuous flow and up to 6 LPM in pulse mode. Can i do the travel by plane with only 2 LPM in continuous mode, or it will be very dangerous ?. What do you advise ? Thanks for your help. I cannot provide medical advice. It would be up to your doctor to determine whether you can use 2 LPM continuous while in flight. Perhaps your doctor will approve a higher pulse flow setting. Or you may want to look at the Oxymizer, which is a conserver that boosts continuous flow settings. I gather that US Airways no longer allows some of the larger units on their trunk aircraft. Comments? Is this practice spreading? Yes, it is unfortunate that smaller aircraft do not allow sufficient room under the seats for the larger continuous flow POCs such as the SeQual Eclipse. US Airways, Delta, and American Airlines all give restrictions for the SeQual Eclipse. A continued search would surely yield even more airline restrictions. The Eclipse is the thinnest of the large POC models so the issue must be with its height. The seats in these aircraft must be closer together and offer very little leg room, thus the unit would stick out into the foot area, which would be against FAA regulations. If your travel plans require flights on a smaller aircraft, it would certainly be a crucial consideration when choosing which POC is best. That is why I stress that there is not one unit that is best for everyone. Oxygen needs and mobility needs are both very important factors when choosing an oxygen concentrator. I have GLILD and need 6-8 LPM when walking to keep my levels above 85%. I can be with out O2 or on 2 LPM while sitting. I want to be able to travel by air to see a specialist in Wisconsin. How could I get around taking a tank with me to get to the gate? The SeQual Eclipse 5 is the most power POC on the market and is your best bet for attempting to travel by air. It provides continuous flow settings up to 3 LPM and pulse flow settings up to 9. If you can use pulse flow when walking, then the Eclipse should work for you. At that level the batteries will last under 2 hours each, so be sure to have enough batteries for getting through security and for your flight. Airlines require 150% of the flight time in battery power. I have bronciectasis and need a portable concentrator (lightest one) and only need it for sleeping purposes and travel. I want it to fit into my handbag . What do you suggest. I think that a PULSE (POC) would suffice. Which one would you suggest ? I cannot make a recommendation without knowing the oxygen flow setting your doctor has prescribed. Before looking at size and weight of a POC, you must first know that it will provide the right amount of oxygen to meet your needs. Also, I recommend you check with your doctor to determine if pulse flow will work for you while sleeping as continuous flow is usually recommended. I have COPD and only one working lung. On portable Oxygen I use 2 lpm, and the same for my large concentrator. With spinal disk problems from the cervical to Lumbar, I need to find the absolute smallest and lowest weight portable concentrator. How do I locate such a unit? If you need 2 LPM continuous, then the Philips SimplyGo is the smallest unit on the market that will provide the oxygen you need. It is 10 pounds and it pulled on a cart. If you can use a pulse flow, then I recommend looking at the AirSep Focus (just over 2 pounds, but with very limited oxygen capacity), or the Inogen One G3 or Philips SimplyGo Mini (both are 5 pounds) for greater oxygen capacity. Hi Allison, at rest my flow is 2L continuous, with exertion I am to go to 3L or 4L. My lung function FEV1 is 17 %. I have been using tanks but they are getting too heavy to carry or pull. I put one in backpack so my hands are free but my shoulders can’t take much more. I stay home because it takes so much to leave the house. I want to find a small portable unit i can carry in a backpack, by hand or on a cart. Do you have any suggestions.? Have you heard of an OLV-B1 it is through Global Source Medical? Also, Another salesman is trying to sell me an Inogen One G2 High Flow. He said this will work for me even though i hear it is pulse. I need continuous flow as my breathing is really bad. I’m not sure what to do regarding what machine available is best for me. I need something or I may have to go to nursing home if I can’t get out and about. Thank you. The Inogen One G2 is a good option if you need higher flow settings and can use a pulse flow. If you must have continuous flow then your only possible option is the Philips SimplyGo. It provides up to 2 LPM continuous. Keep in mind that the battery lasts only 50 minutes at 2 LPM, and it is a 10-pound unit, which may make it difficult (but not impossible) to carry in a backpack. There aren’t any other POCs on the market that are small and provide continuous flow. I have heard of the Olive, although I am not familiar with it since it is a Chinese product and not American. However, looking at the specifications, it is 5.4 kg, which is nearly 12 pounds and would be difficult to carry as in a backpack, especially since you are already having a hard time with the tanks. If your bad breathing is something you can control through some breathing training, it would be the best course of action to allow you to use a smaller pulse only POC. I do not have any additional information about the Olive POC other than what you can find on their website. Since the Olive is not a U.S. product, I am not familiar with it. Can I carry my POC in a purse that is rather large – the walls of the purse don’t touch the air vents if I leave the purse open and it will get enough input through the air vents? I would not recommend using any bag that is not designed by the manufacturer or one that is mesh and allows full air flow. Although manufacturers do not give a specific distance when instructing not to obstruct air intake or exhaust outlets, I do not think a purse would allow enough air flow for proper oxygen production. You never mention the cheaper Olive OLV5W – I got one for my mother and its been working flawlessly ! Thank you for this information. I am focusing only on concentrators provided by U.S. companies and the Olive is provided by a Chinese company. That is not to say the Olive is not good – it sounds great from your description – it is simply not the focus of this website. resting and short walks). I have been given a large tank to pull behind me on a cart which is very restrictive for an otherwise active person. I have been told that there is no no portable (small shoulder unit) that can administer more than 4ML. Is that correct ? If not…recommendations on products I might look at ! I think you mean 6 LPM and 4 LPM (liters per minute) rather than mL (milliliters), which would be a very small about of oxygen. If so, then there are two 5-pound POCs that provide up to Setting 5 Pulse Flow. These are the Inogen One G3 (the new High Flow model) and the Philips SimplyGo Mini. If you can use pulse flow these may work for you. If you require continuous flow, then the smallest unit available is the SeQual eQuinox, but it provides only 3 LPM continuous.